Finally, a SIP product developed specifically for the hospitality industry! 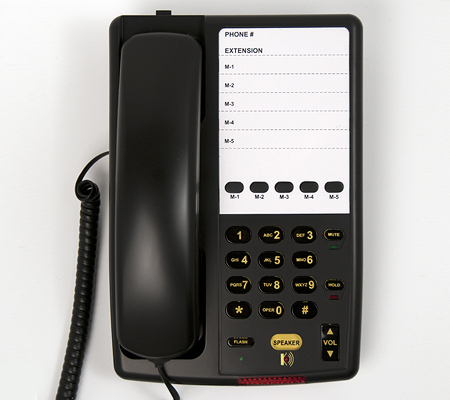 The Inn-Phone D5900 product family was developed with the hotel guest in mind. 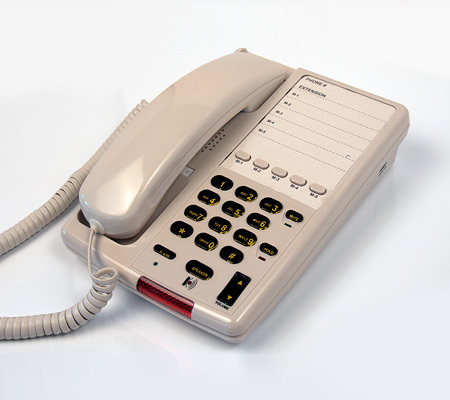 Modeled after Inn-Phone®’s extremely popular analog room telephone product family, the D5900 offers ultra-reliability and a simple-to-use interface for hotel guests. In fact, most guests won't know they're even using an IP-based product! No more frustrated guests trying to understand confusing menus and intimidating user interfaces. They just pick up the handset and dial like they've always done! 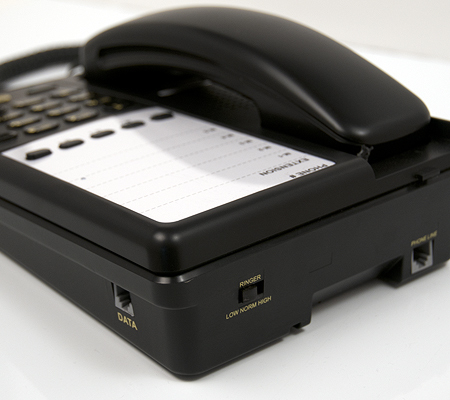 The D5900's unique Heavy Base design provides longevity and durability within a ruggedized speakerphone design. The Heavy Base helps minimize breakage as compared with lighter phones that can more easily be dragged from desks and nightstands resulting in breakage and more frequent replacement. The Heavy Base extends product life and helps control expense for room phones maintenance, especially with IP-based products. 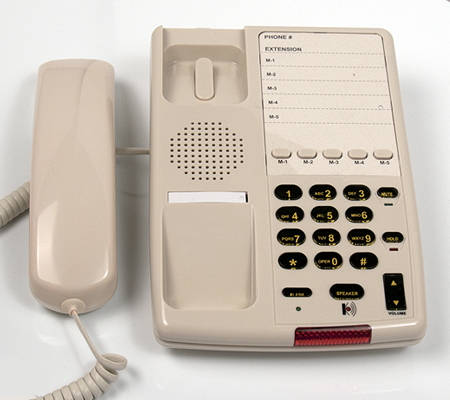 The D5900 comes with a large face plate for hotel information and telephone dialing instructions. Free customized face plates are provided with a minimum order. 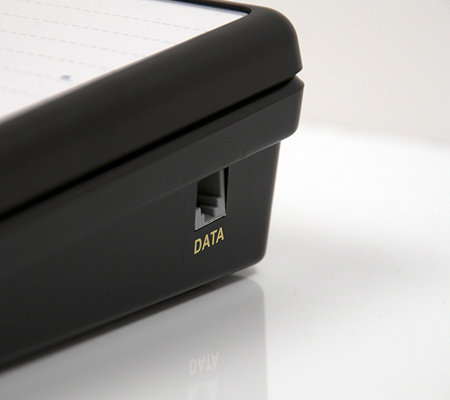 Face plates can typically be completed and shipped in less than 24 hours after design approval. 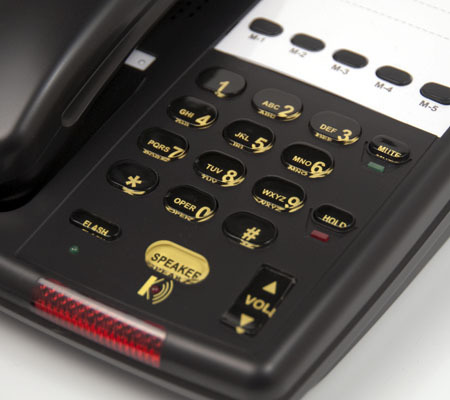 The D5900 meets all hospitality room telephone requirements for full service and higher end hotel brands and exceeds ADA requirements for volume boost for hearing impaired guests. 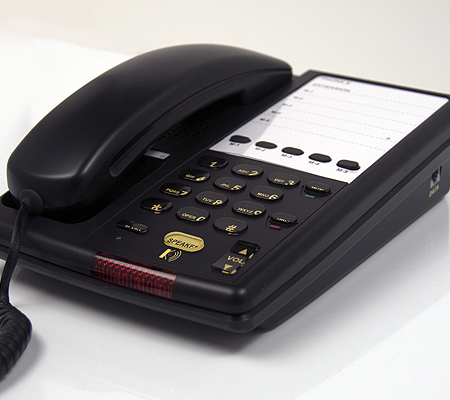 In addition to a full duplex speakerphone, the D5900 is available with optional programmable service/speed dial buttons. The D5905 provides five service buttons and the D5910 supports 10 programmable service buttons for added convenience and ease of use for guests. The D5000 product family has been tested with the most popular IP-PBX switches used in the hotel market and is the preferred SIP room telephone choice when keeping guests happy with a reliable, easy-to-use SIP room phone is the desired end result. 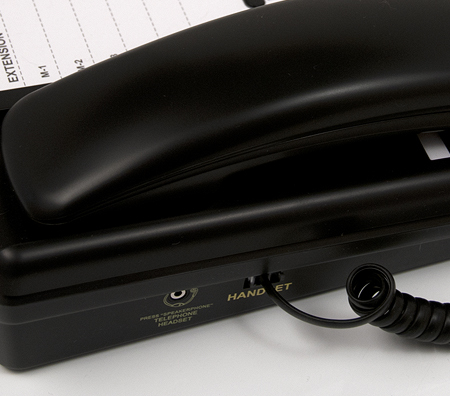 Contact Inn-Phone for a quote today!